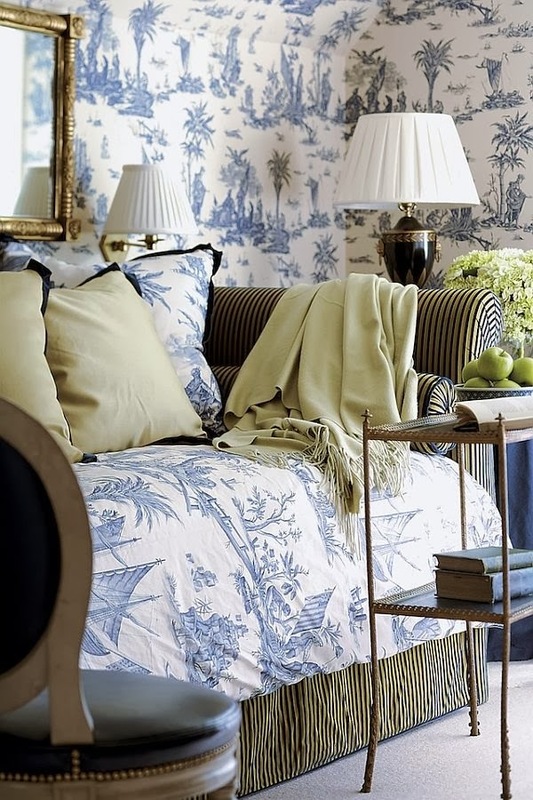 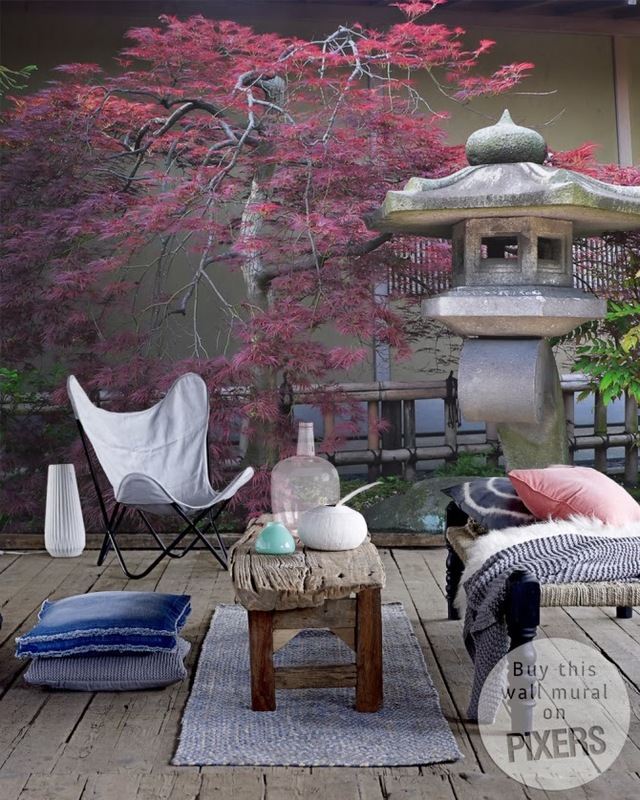 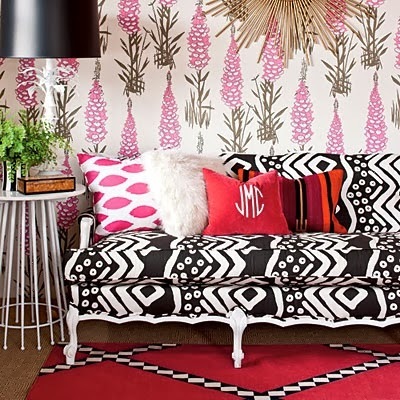 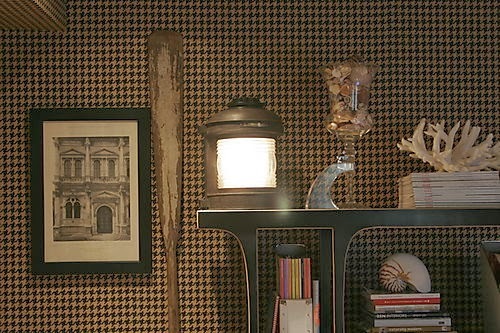 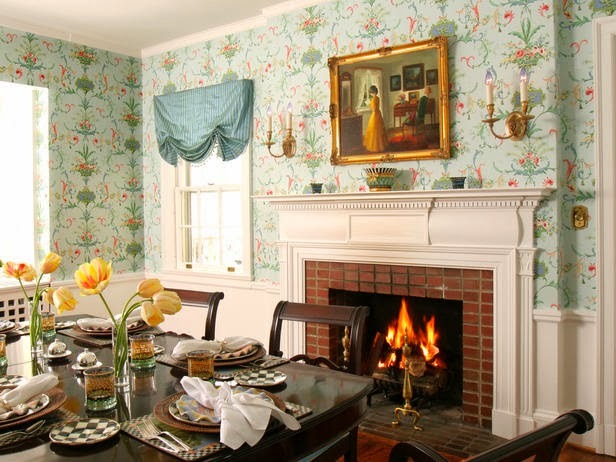 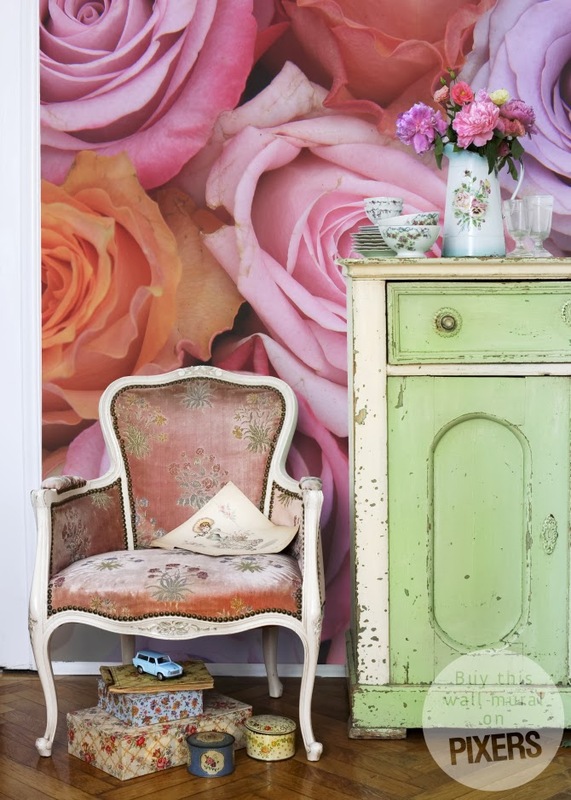 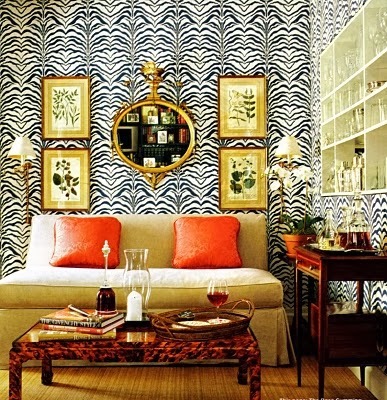 Ethnic Cottage Decor: We'll always have Paris...and wallpaper! 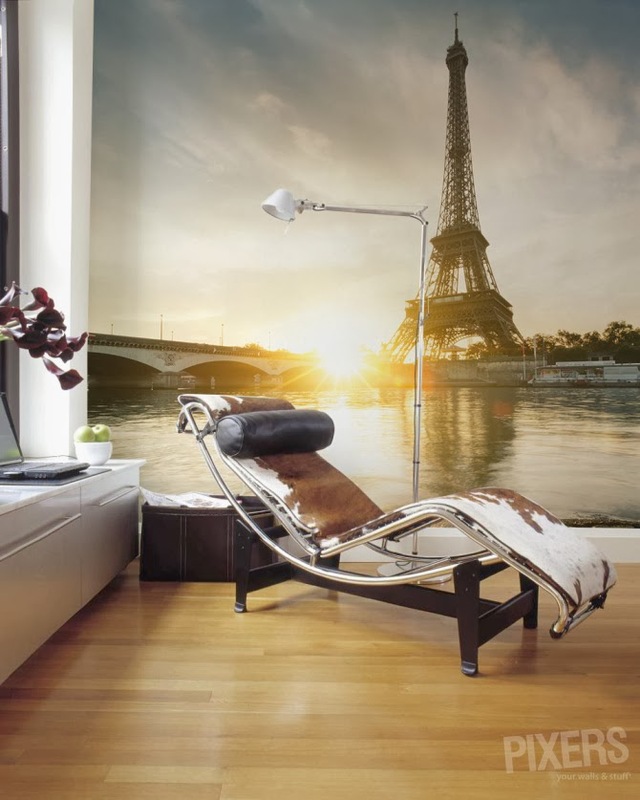 We'll always have Paris...and wallpaper! 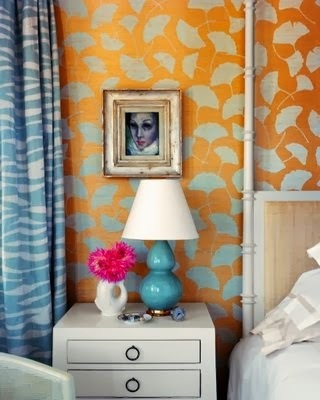 Okay, I'm going on record as saying that WALLPAPER IS NOT OVER! 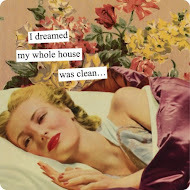 Not by any means! 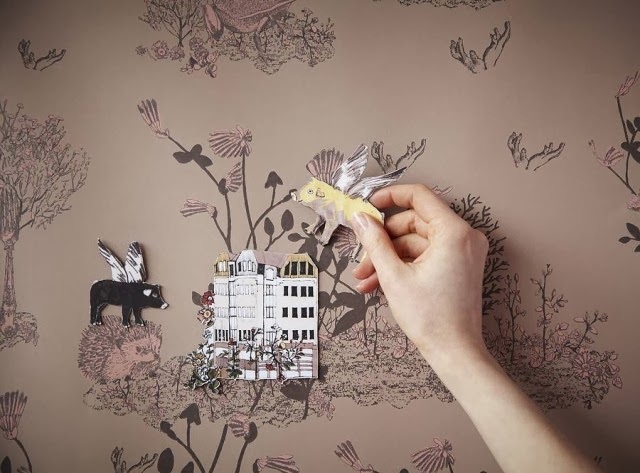 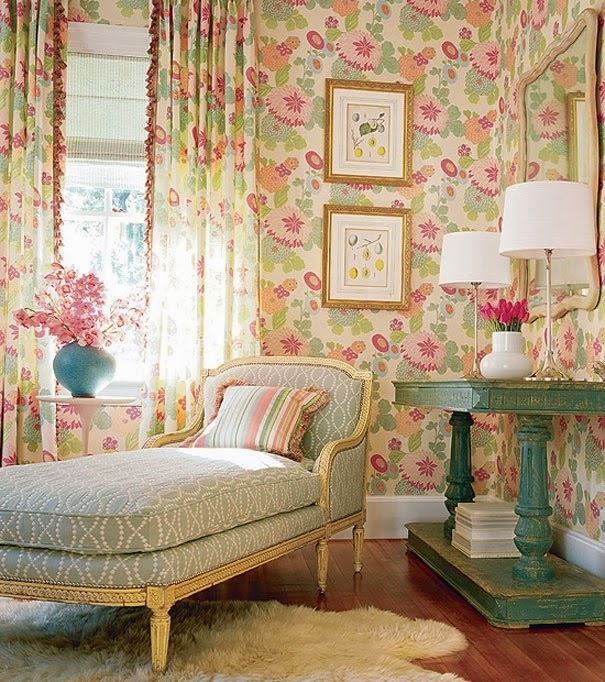 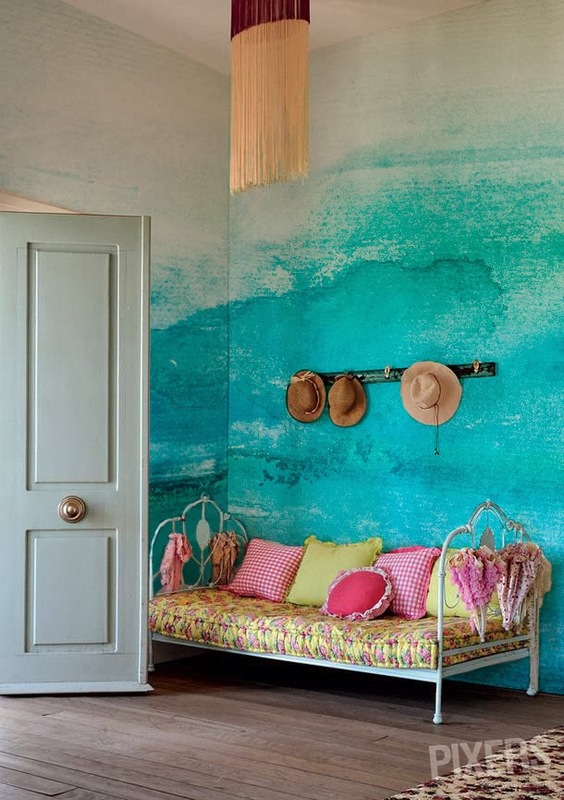 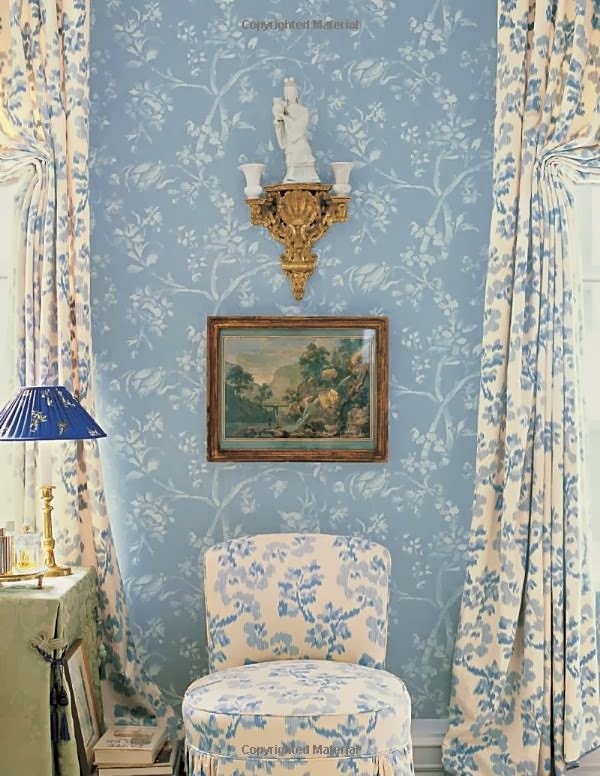 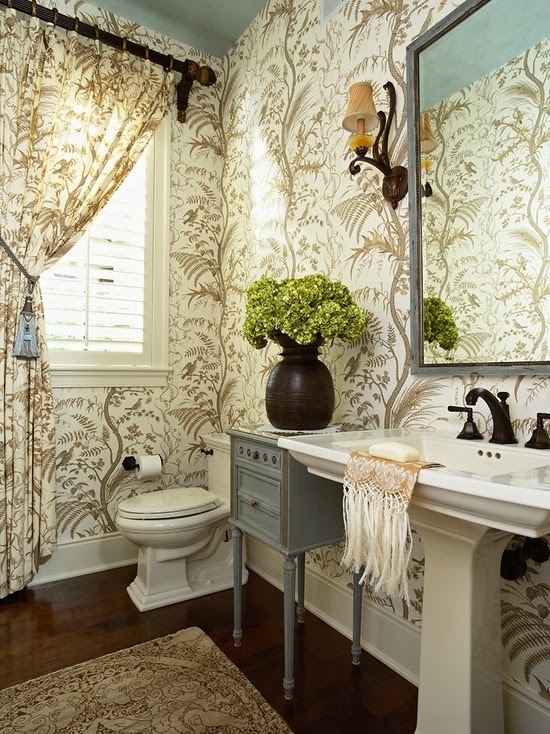 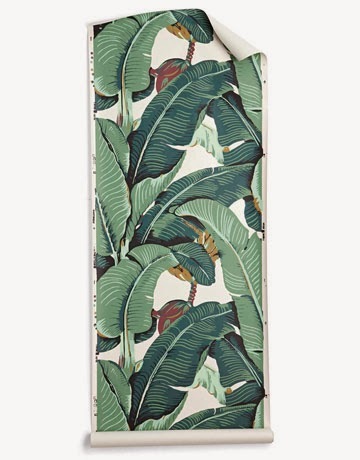 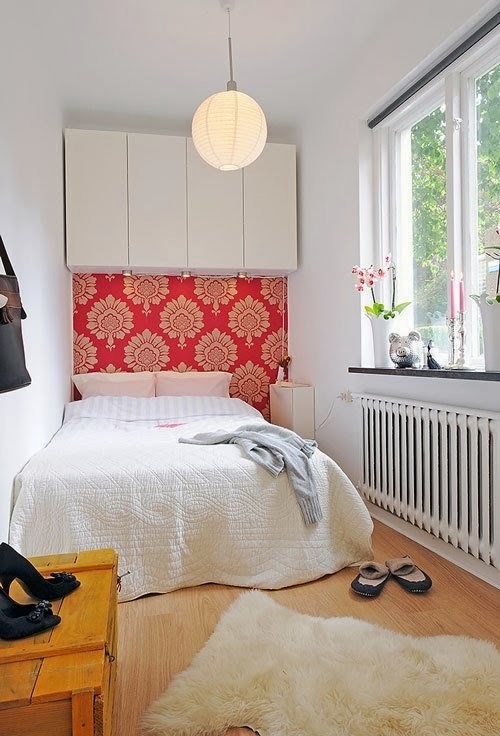 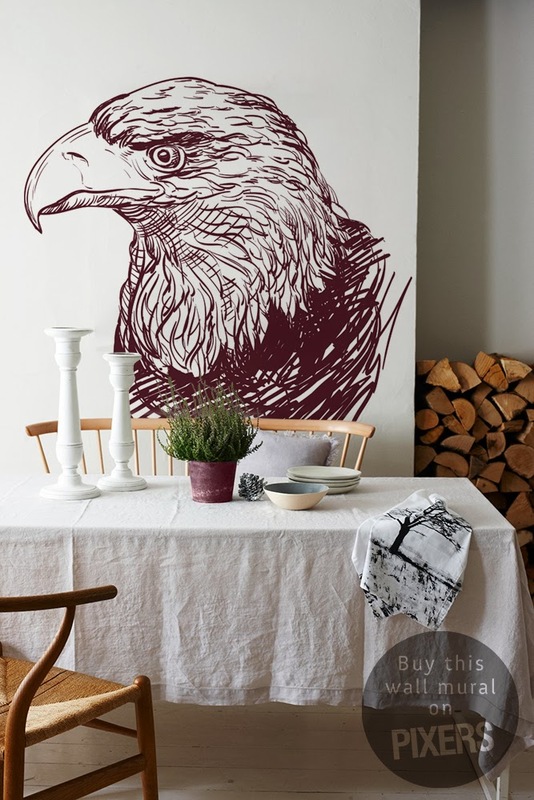 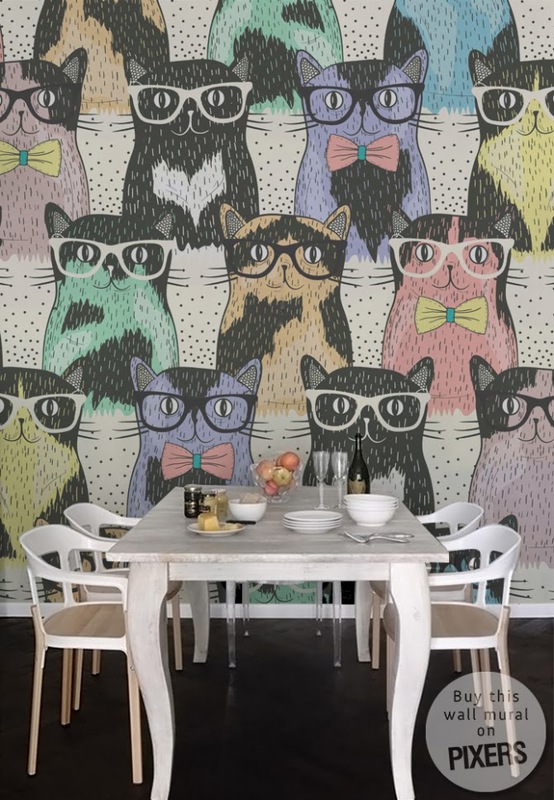 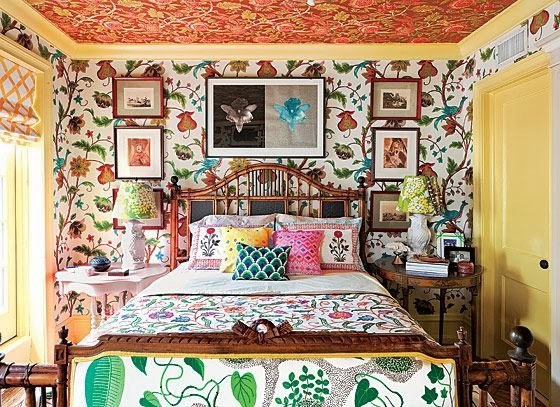 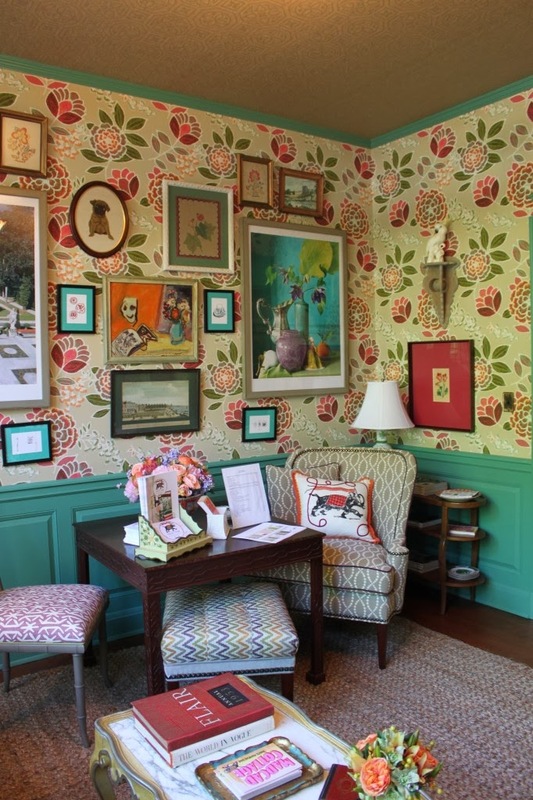 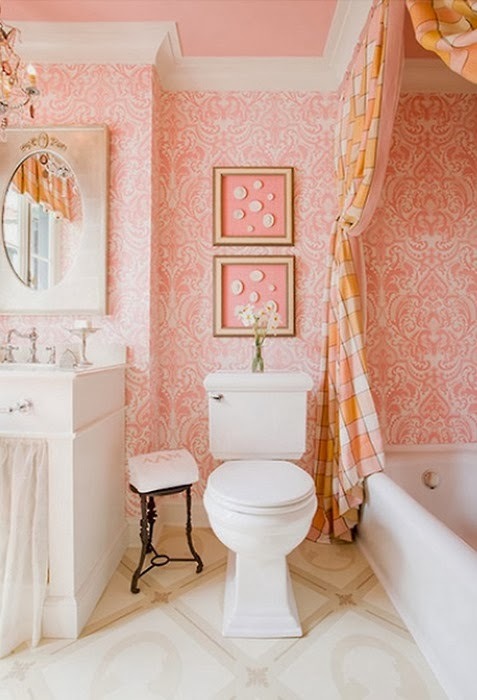 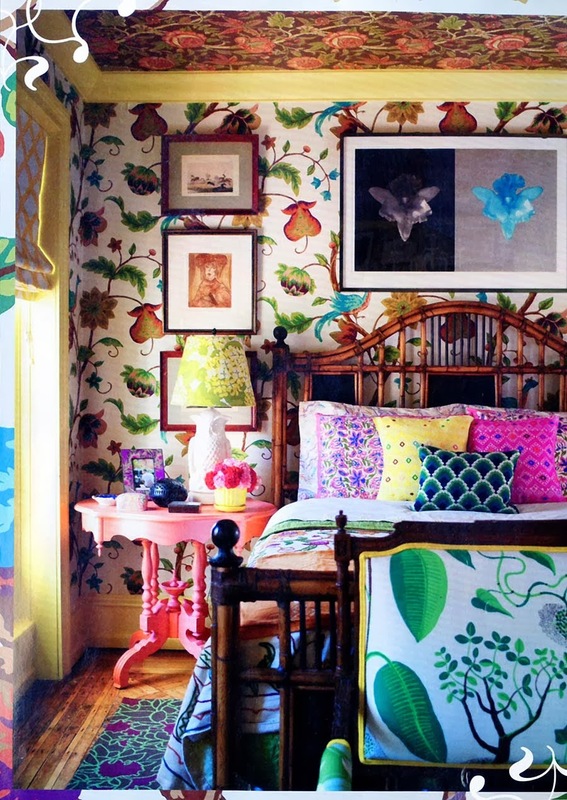 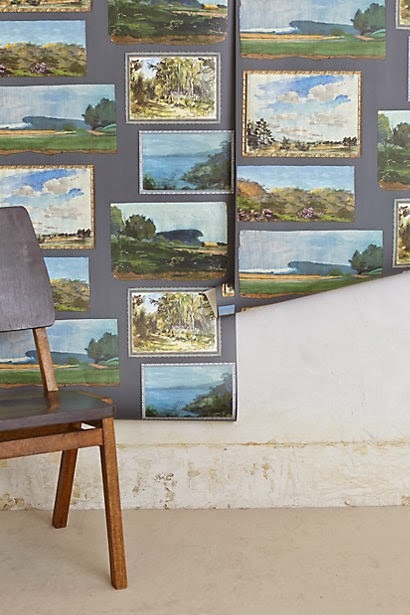 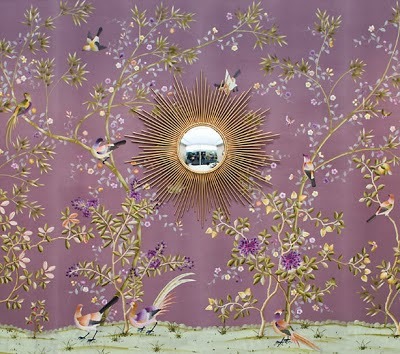 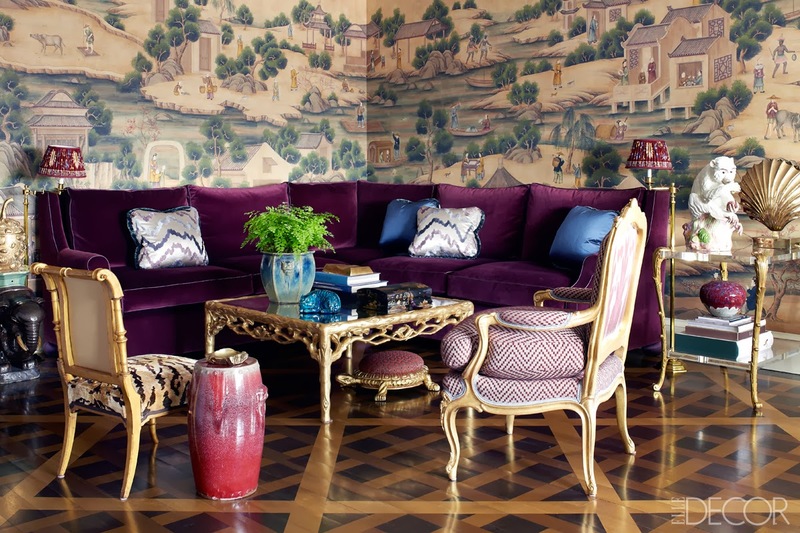 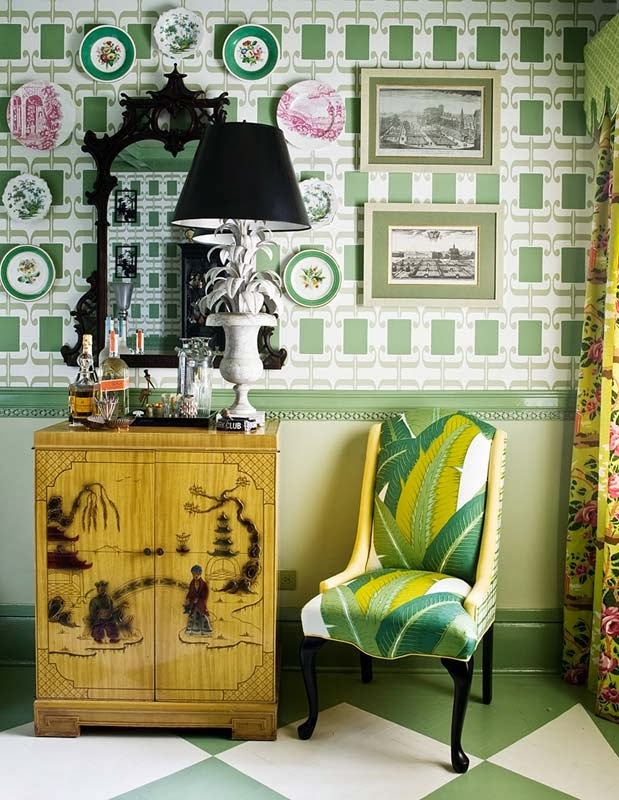 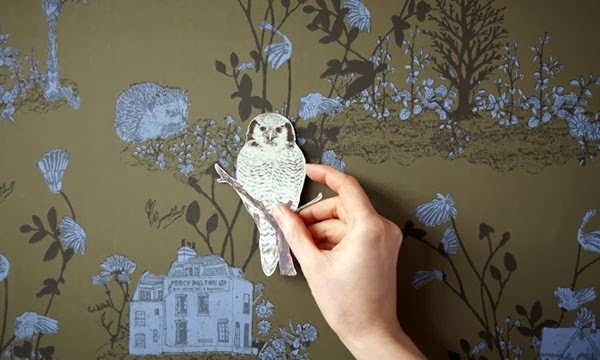 In the past couple of years more than a few prognosticators have said wallpaper is a goner. 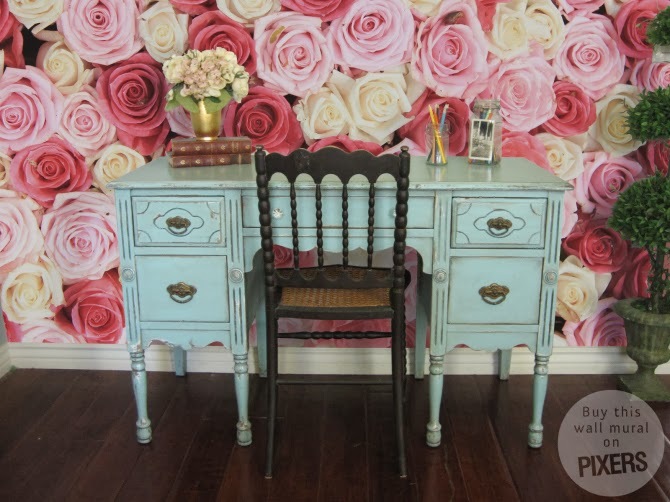 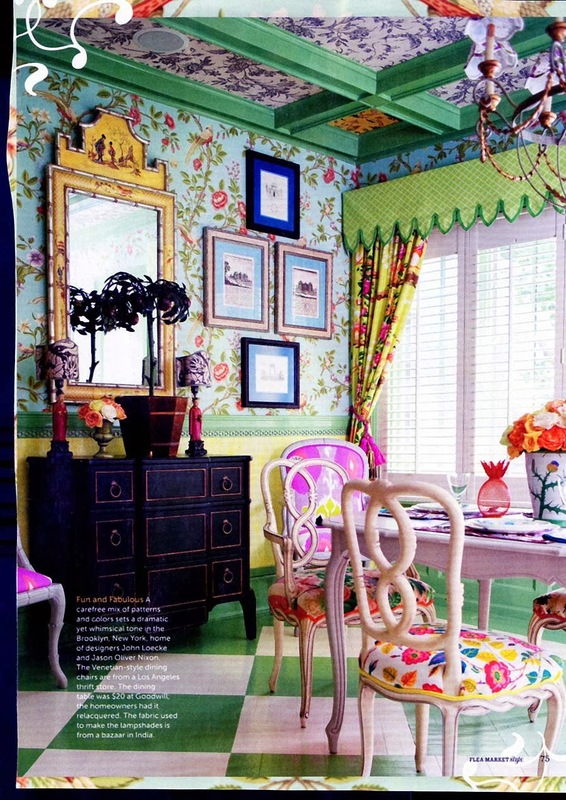 Then there's the amazing and lovely faux finishes and paint treatments that so many artists specialize in. 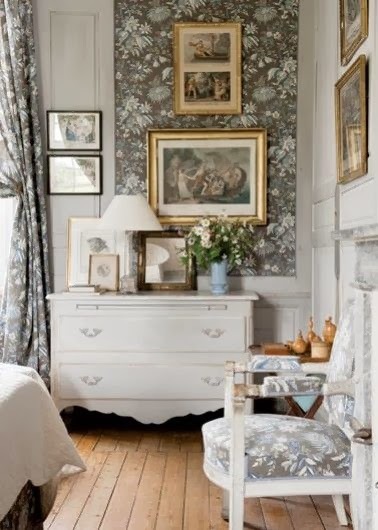 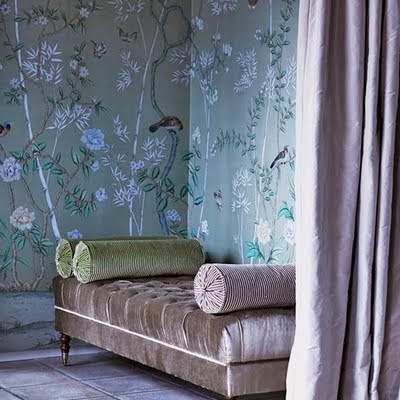 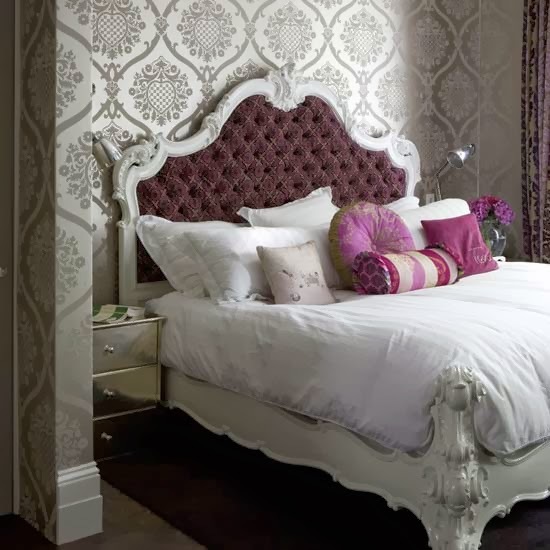 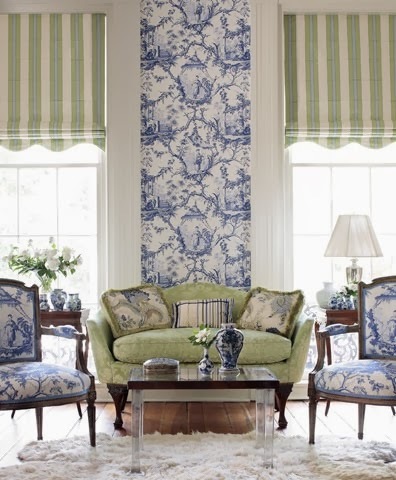 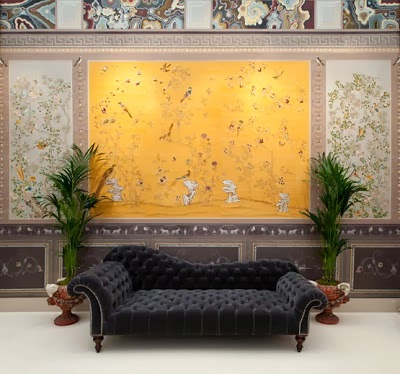 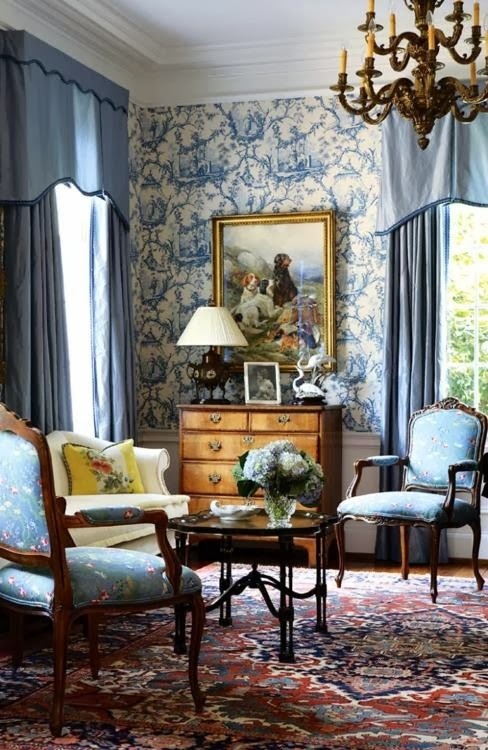 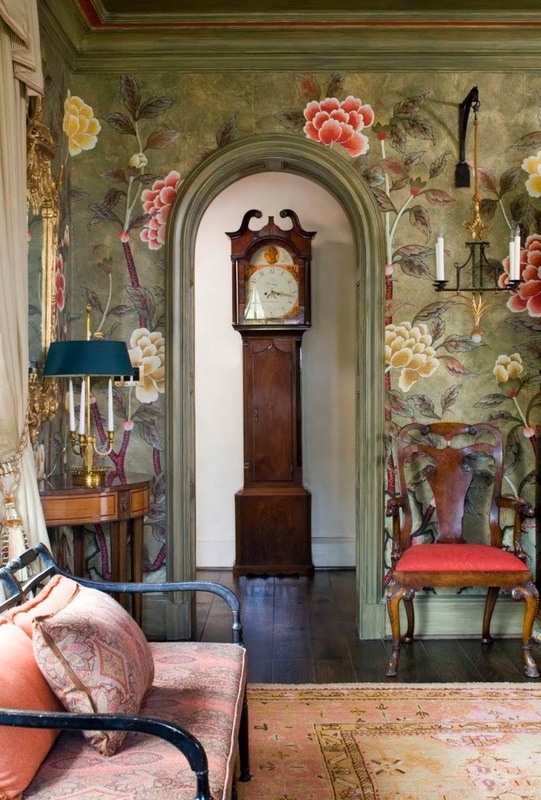 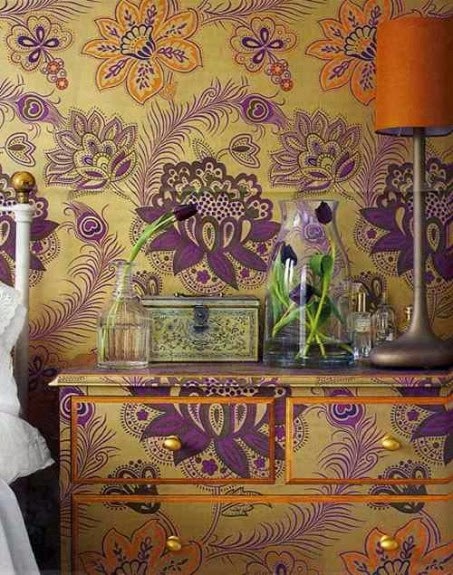 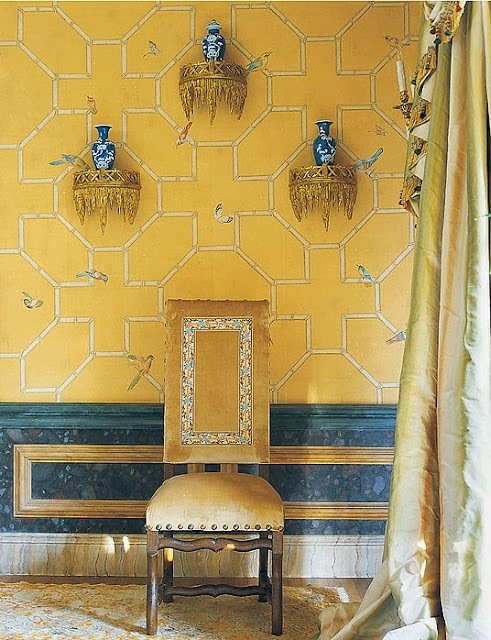 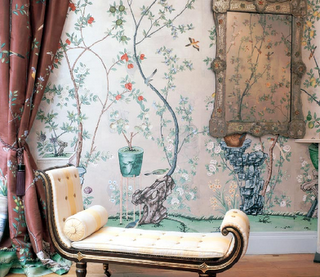 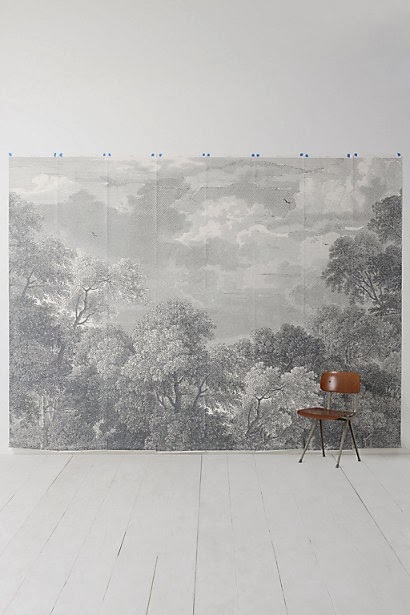 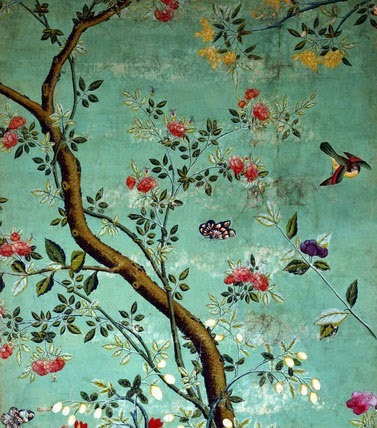 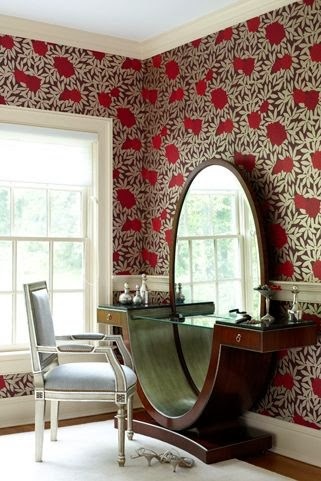 I'm saying we've had wallpaper since, well, we could say since the 1500's and IT'S HERE TO STAY! 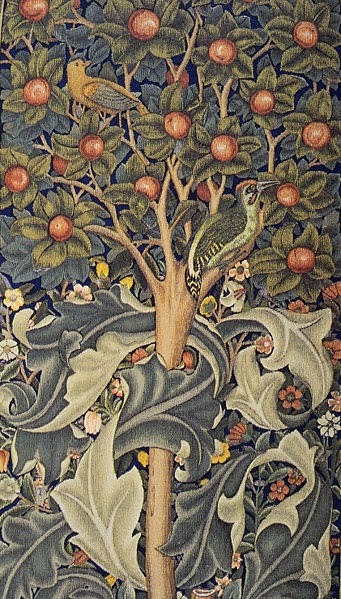 One of the best artists of all time, Albrecht Durer, worked on both large picture prints and also ornamental prints intended for hanging and pasting on the wall. 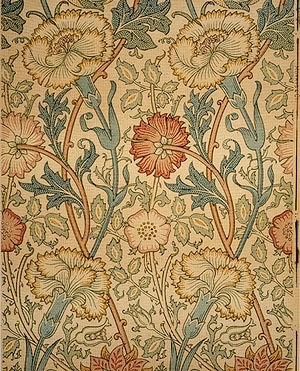 One first edition was 700 copies and was hung in palaces and town halls after hand coloring. 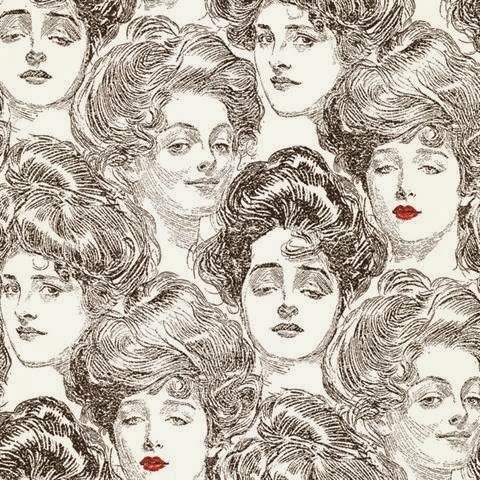 Wallpaper has come a long way, baby, as you'll see from some of the examples below. 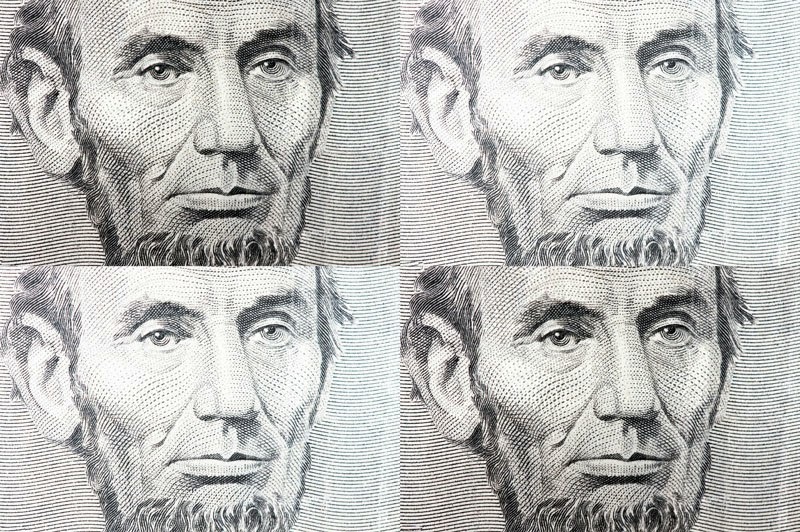 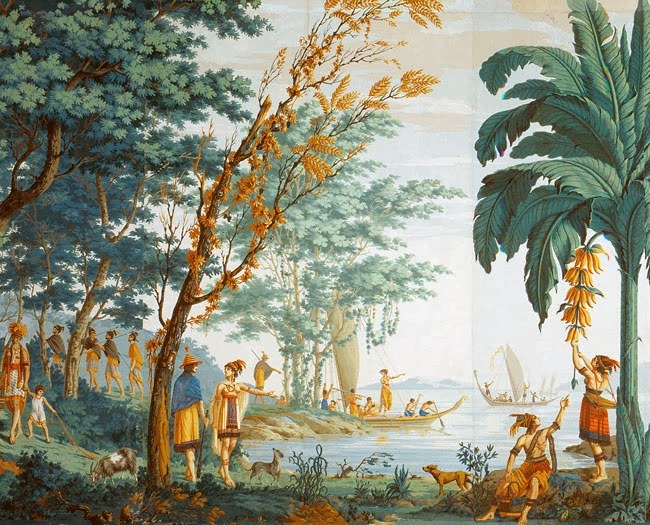 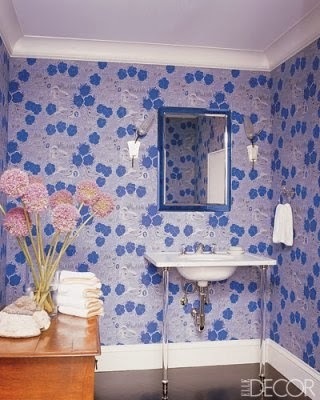 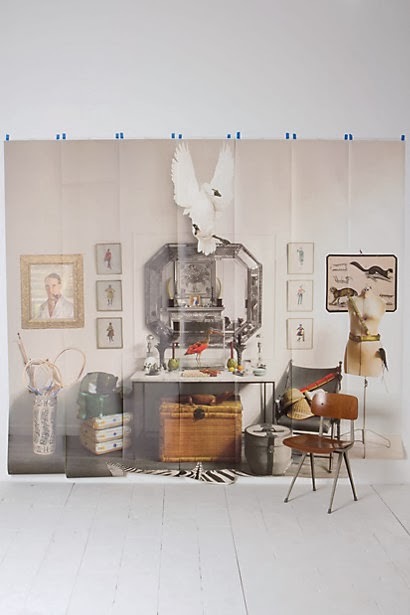 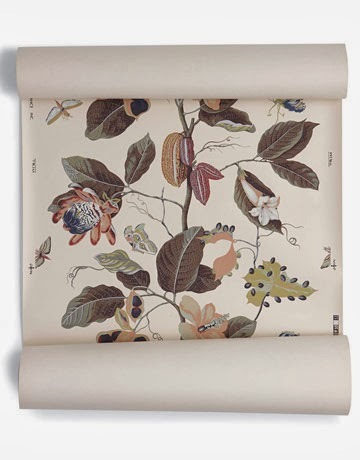 Contemporary wallpapers in no way resemble their predecessors. 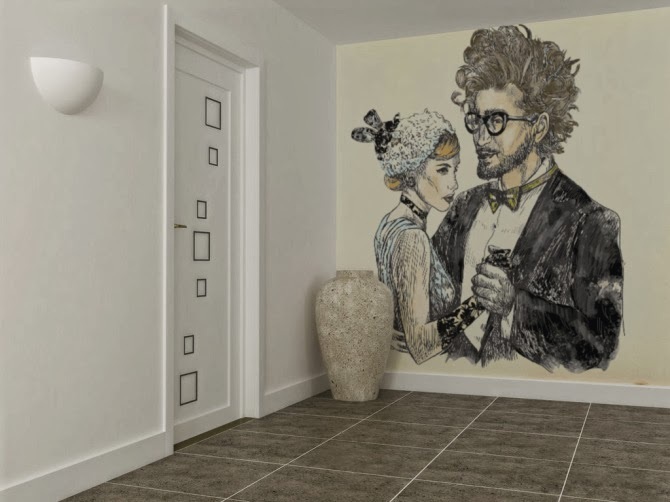 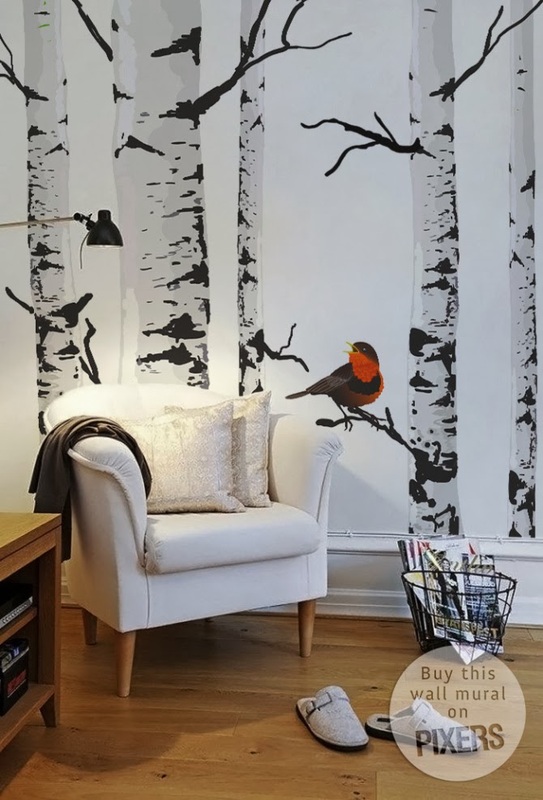 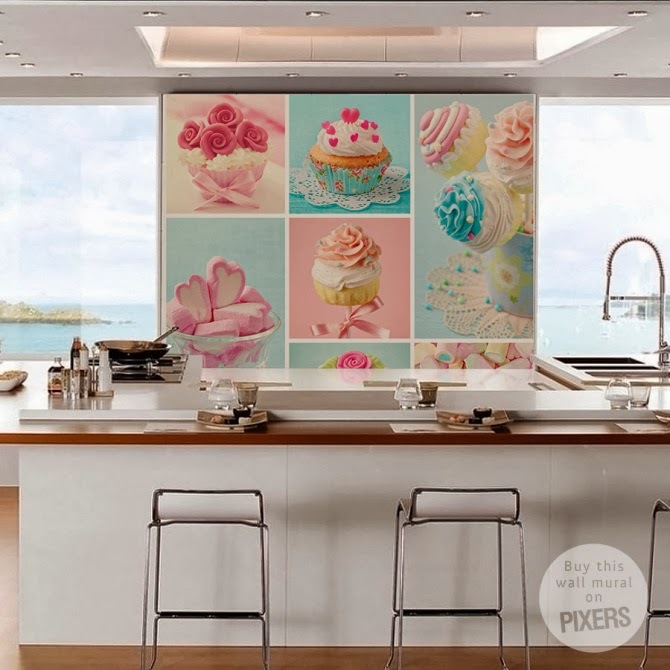 Not only are they made with better materials, you can choose from temporary wall coverings made to be removable to digital designs to magnetic wallpaper. 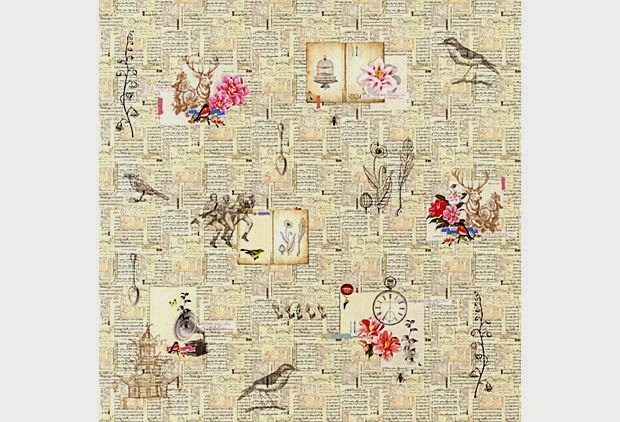 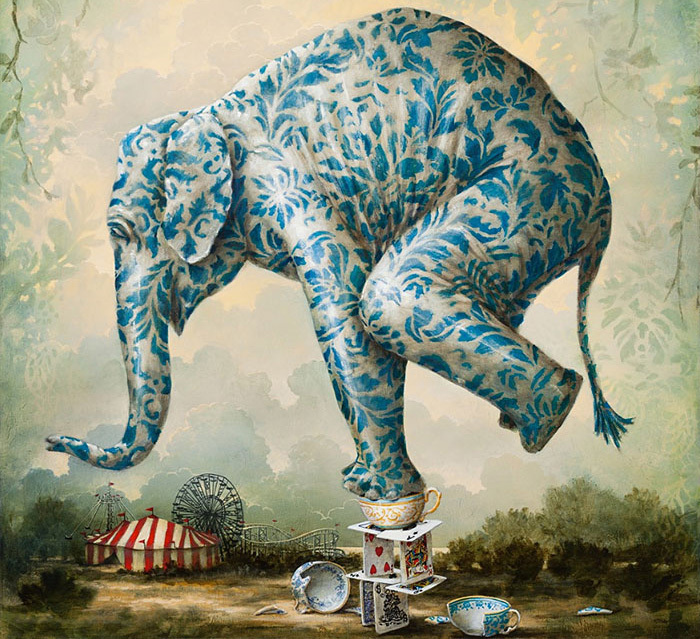 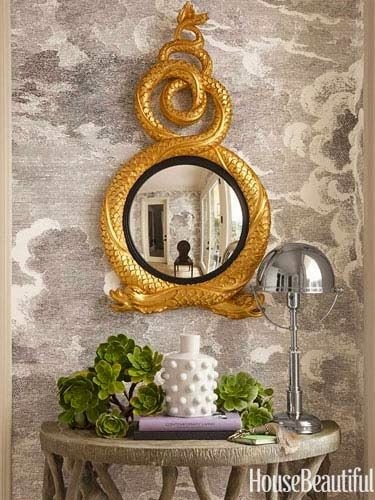 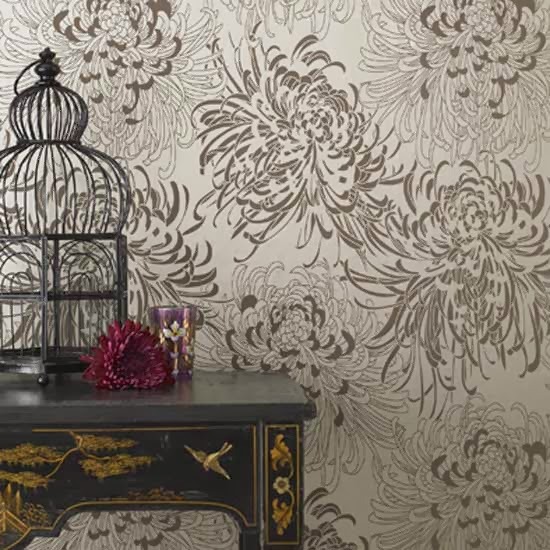 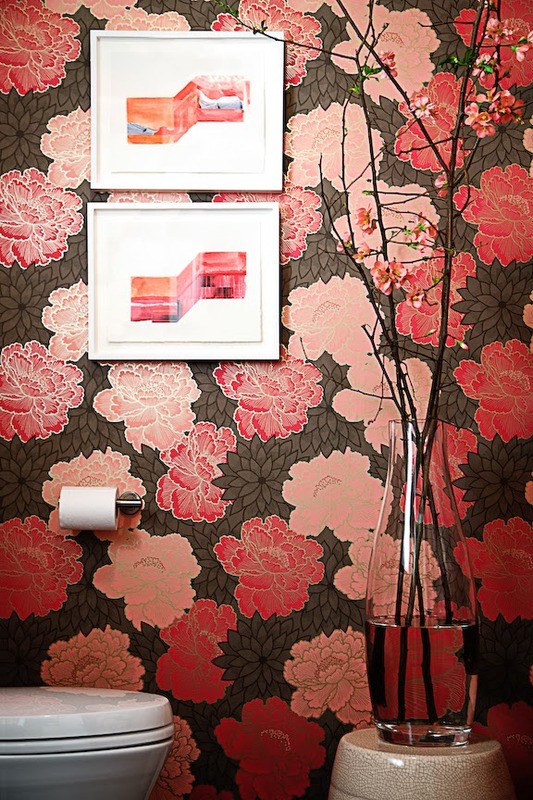 You can use wallpaper today to made any statement you want or express almost any idea. 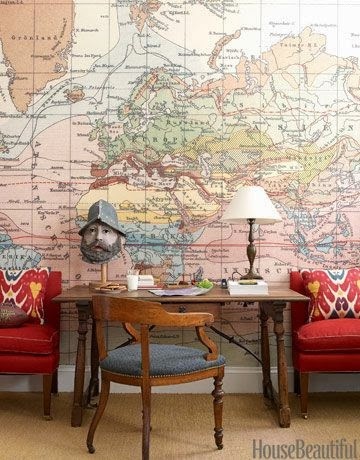 Even the pickiest person can find something to love! 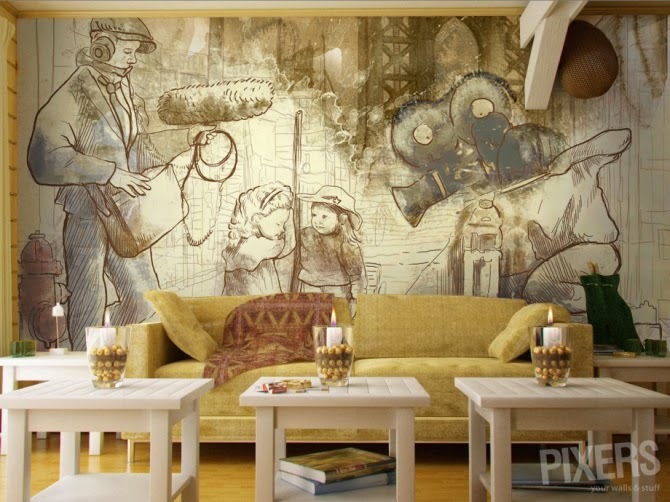 You may also consider murals. 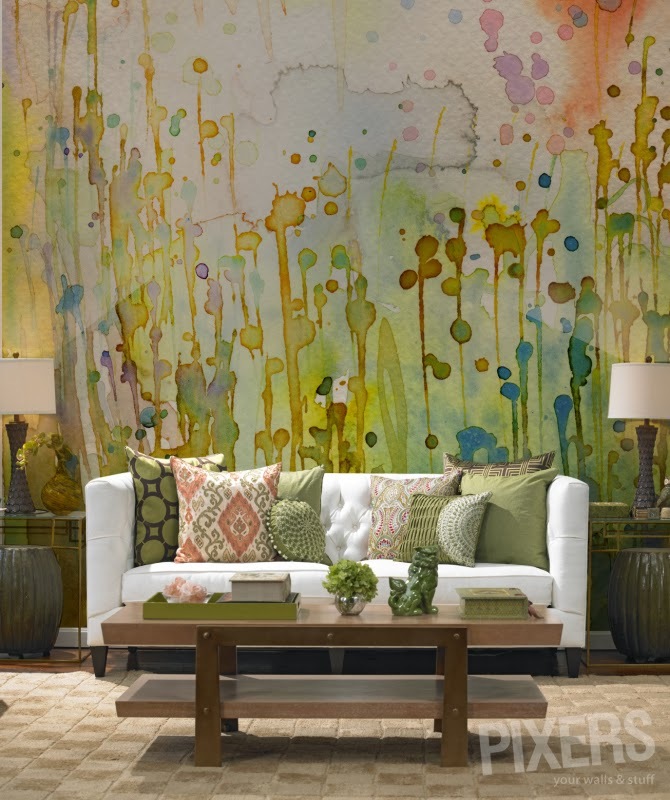 From photography to made-to-order art, there are so many amazing choices. 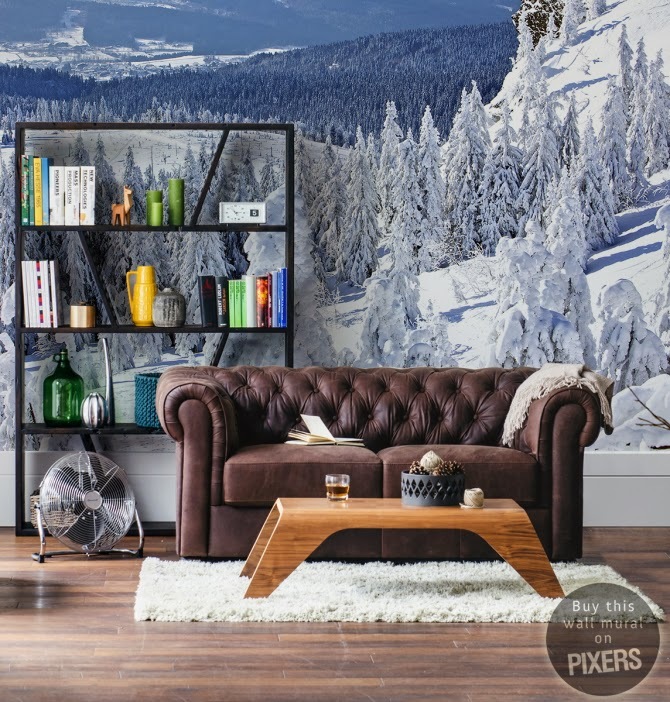 Today many interior designers are suggesting glossy or metallic surfaces which are an important element of the modern glamour trend in home decorating. 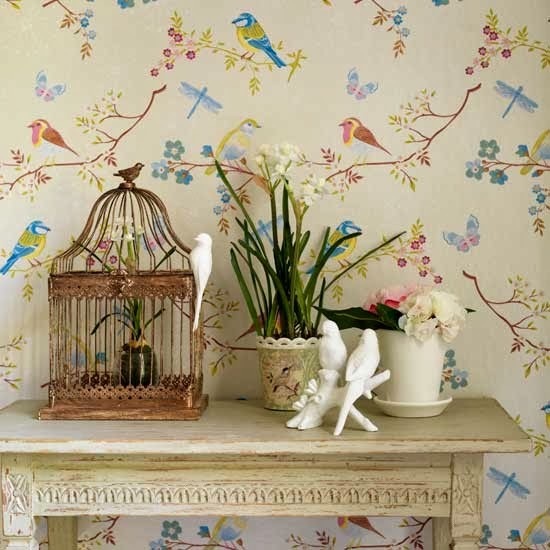 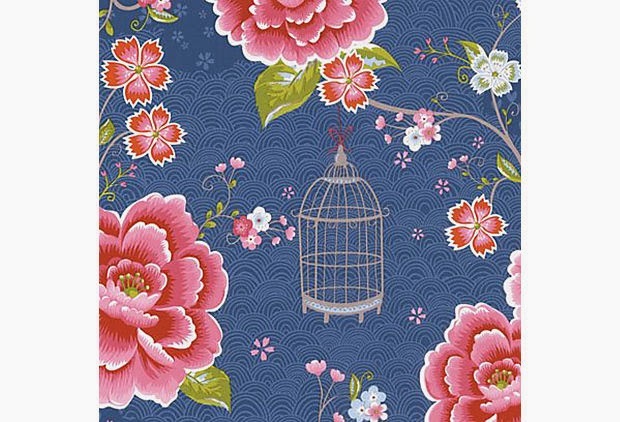 Beautiful wallpapers with retro patterns (think Cath Kidston at http://www.cathkidston.com/), vintage wallpaper finds (think Secondhand Rose at http://secondhandrose.com/ or eBay or etsy) along with their reproductions give Baby Boomers especially a happy, yet authentic boost to their home environment. 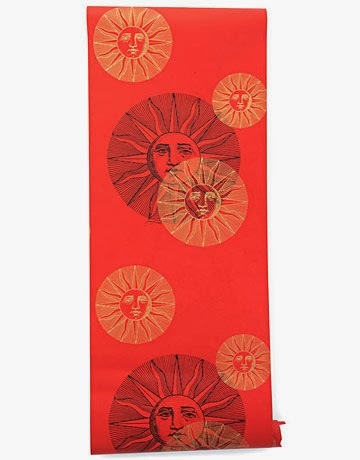 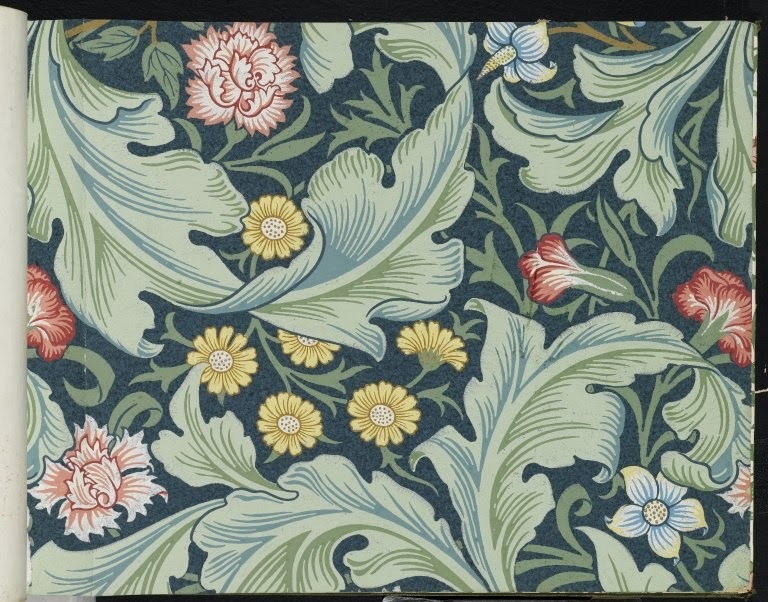 And who could ever get tired of classics like William Morris' designs or the vintage "news prints"? 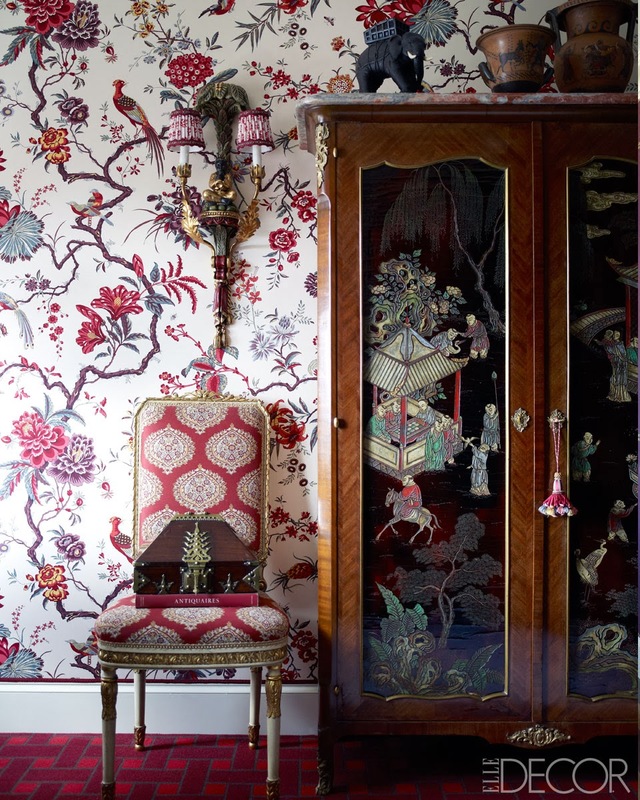 I personally have a weakness for some discontinued Ralph Lauren, Raymond Waites, and chinoiserie. 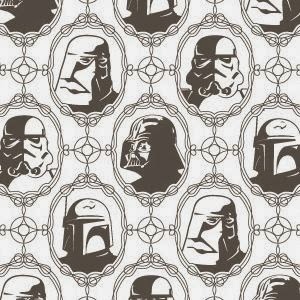 And who could forget those Mapcap Cottage (http://madcapcottage.com) boys? 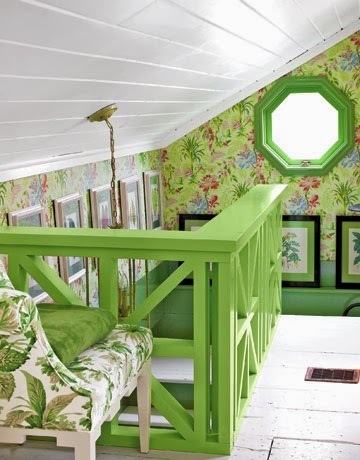 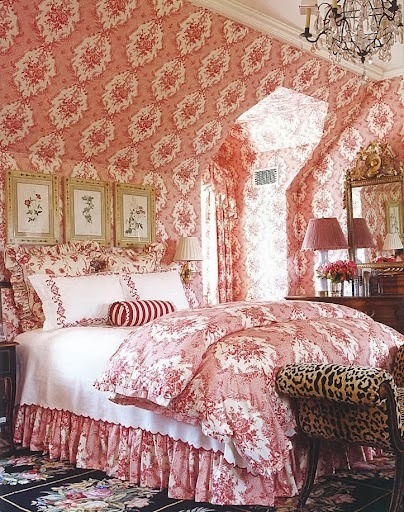 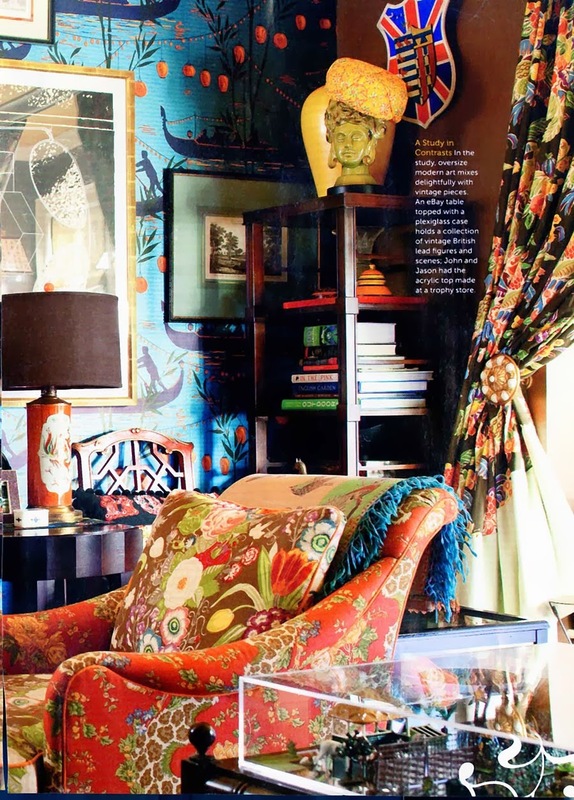 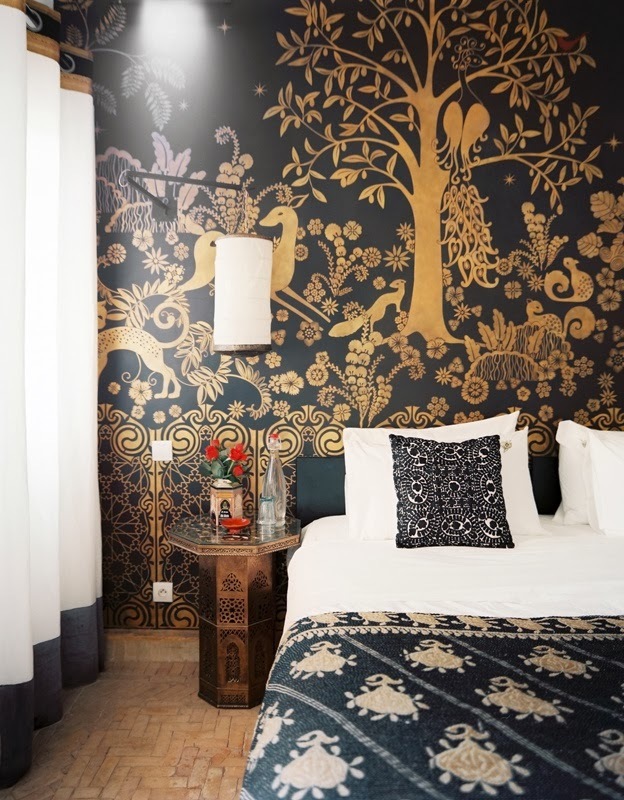 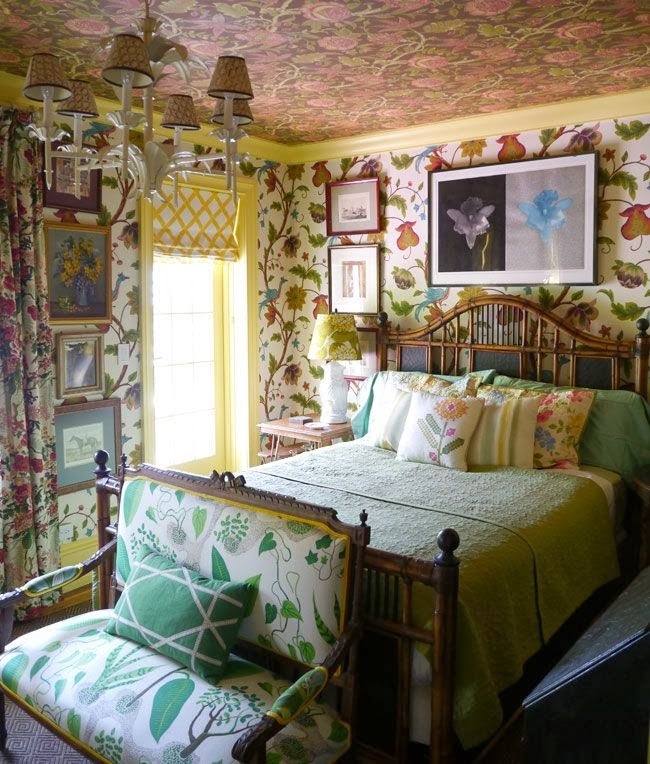 You'll see some of their awesome combinations - including wallpaper on their ceilings! 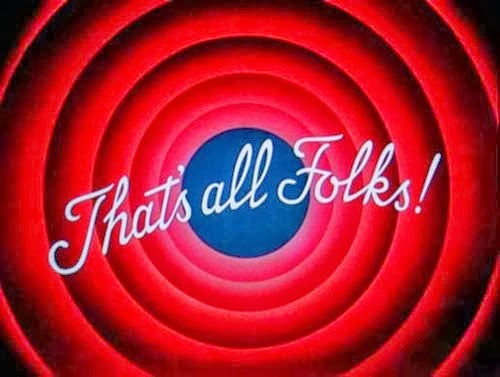 - below. 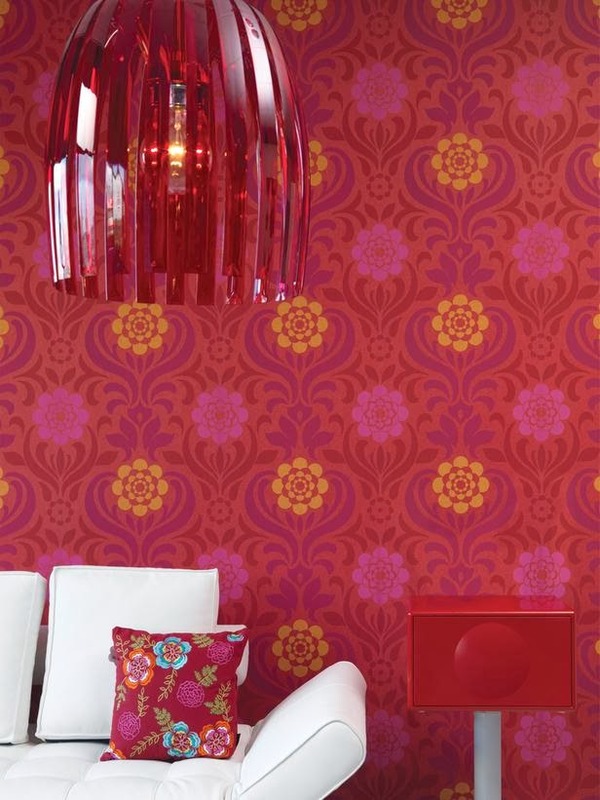 Here are a variety of ideas and samples for you. 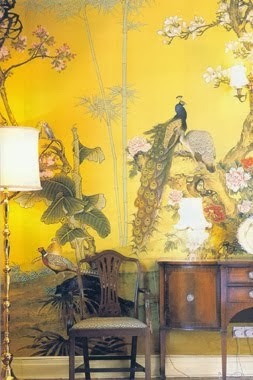 Some are murals and I've tried to give attribution whenever possible. 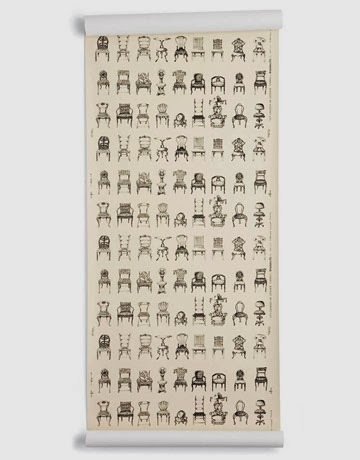 If you see something you have to have and I don't tell you where to find it, shoot me an email (mountaindesigns@yahoo.com with wallpaper as the subject) and I'll certainly help you find out where to purchase it. 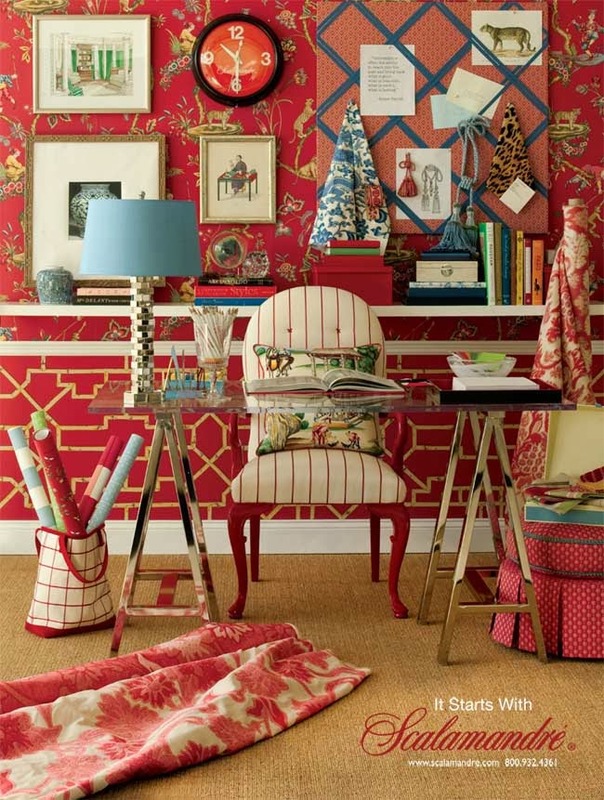 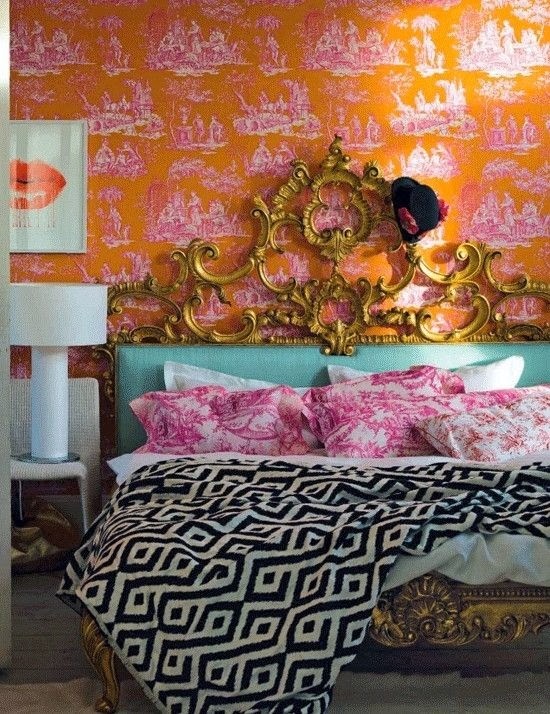 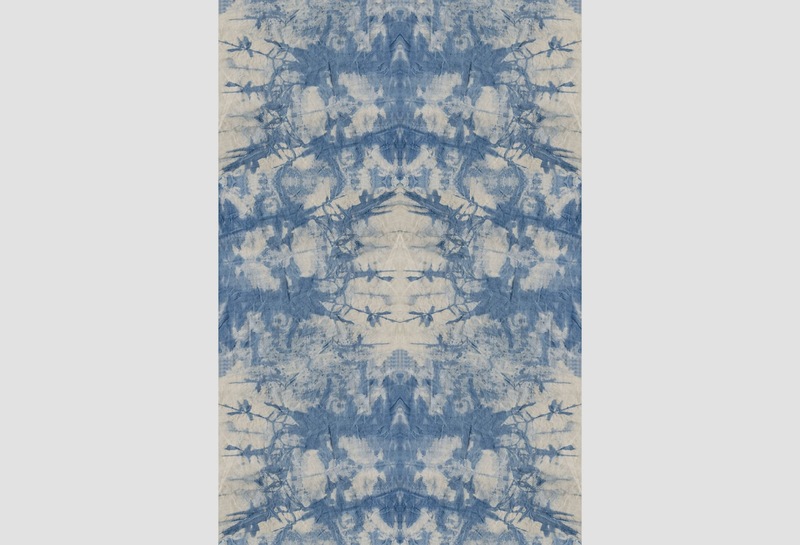 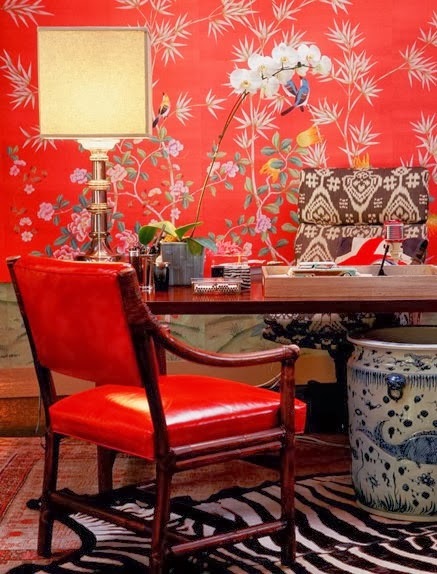 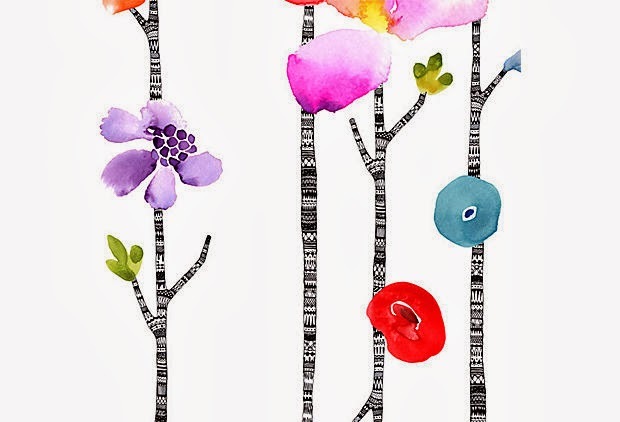 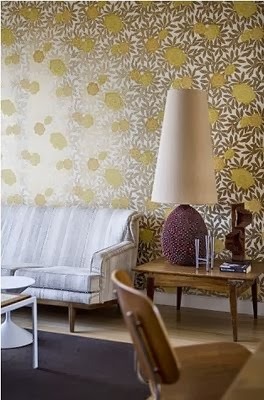 I hope you feel inspired to inject some color, style or texture into your home via today's many wallpaper offerings! 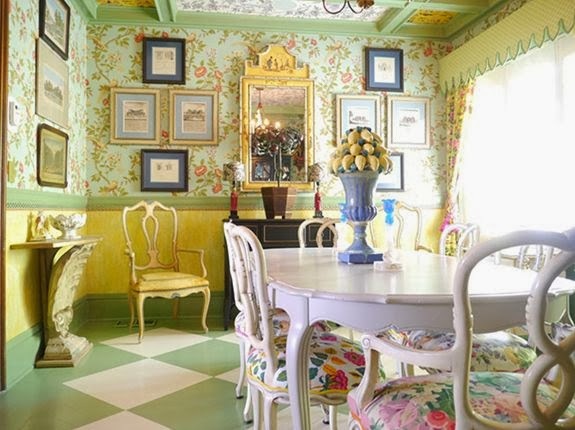 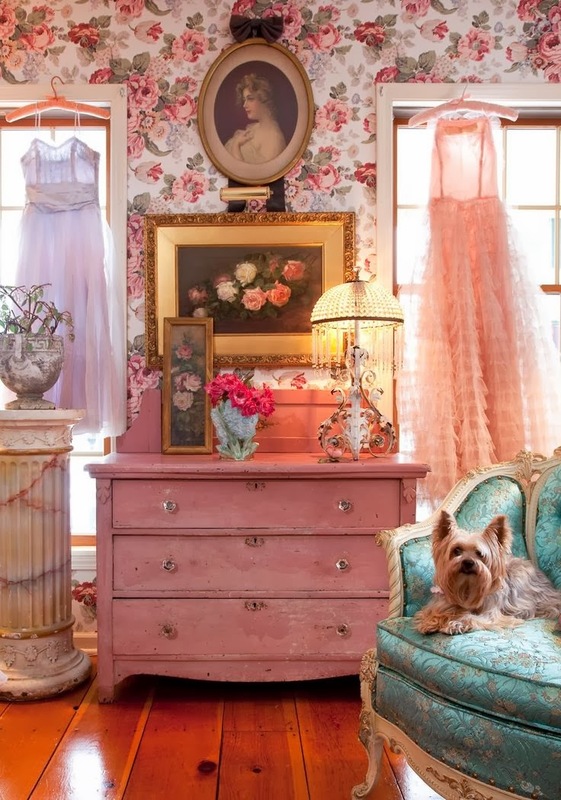 THE NEXT 9 PHOTOS ARE MADCAP COTTAGE AWESOMENESS! 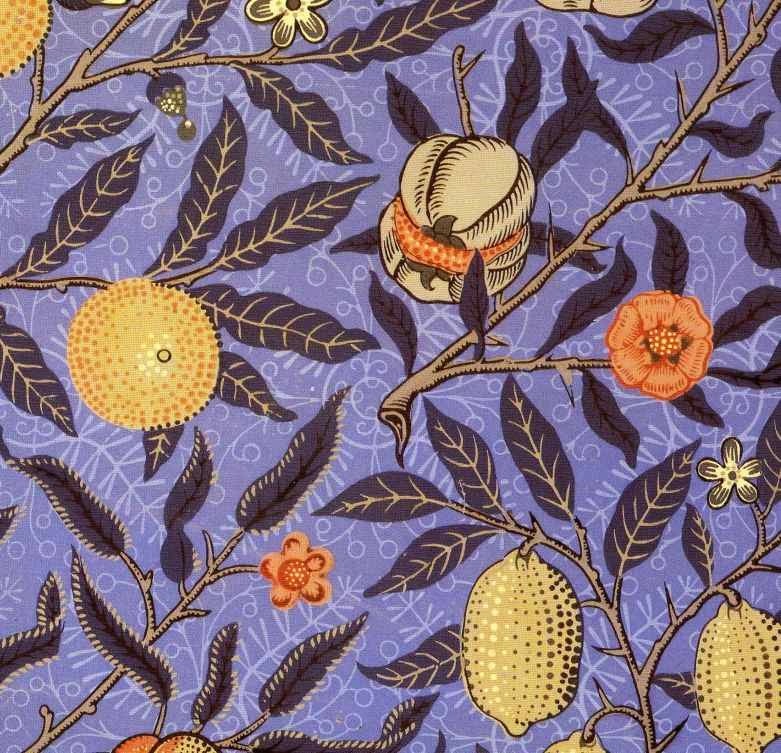 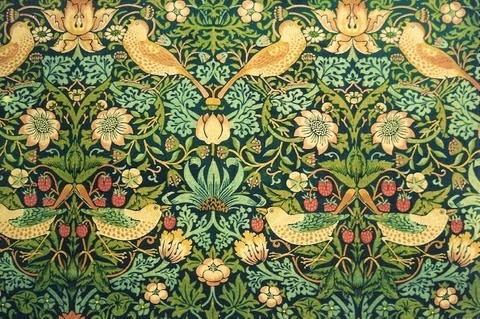 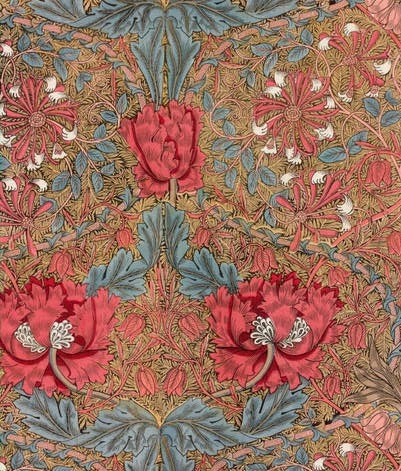 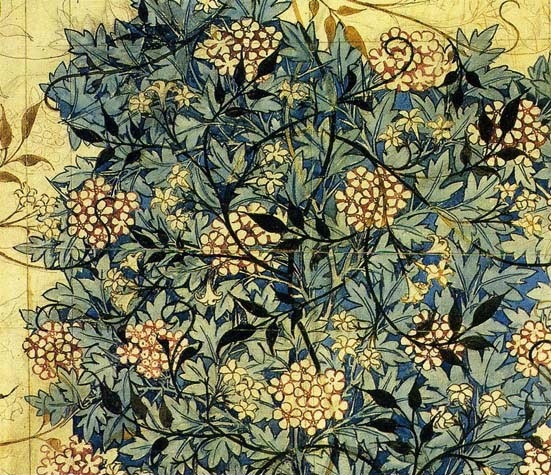 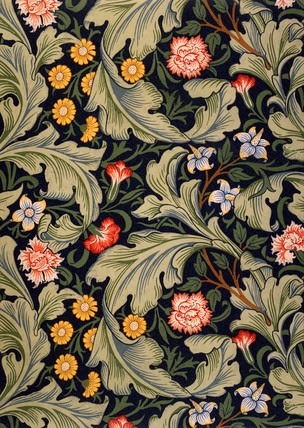 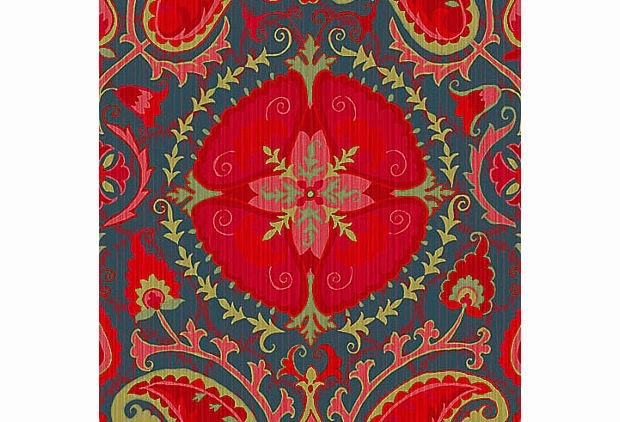 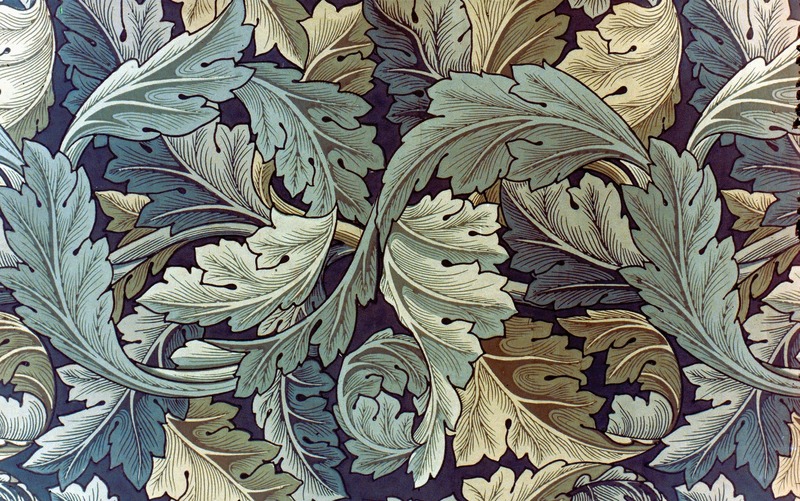 The following are all classic William Morris designs - I never tire of them! 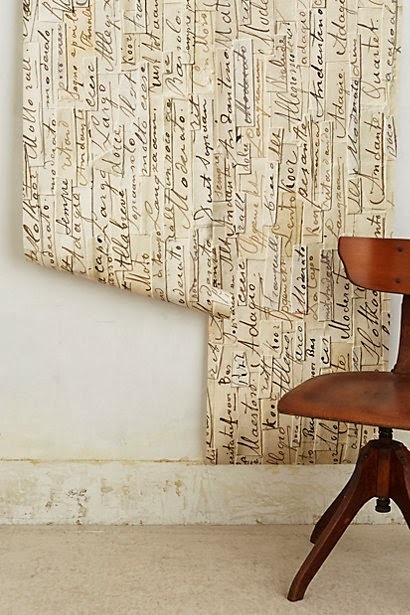 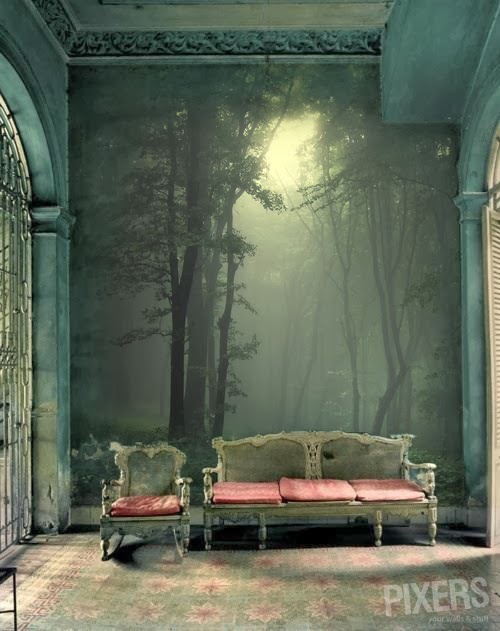 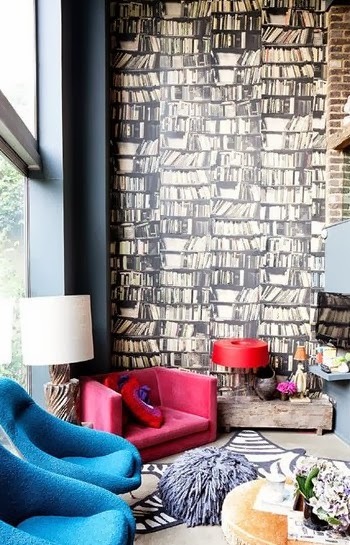 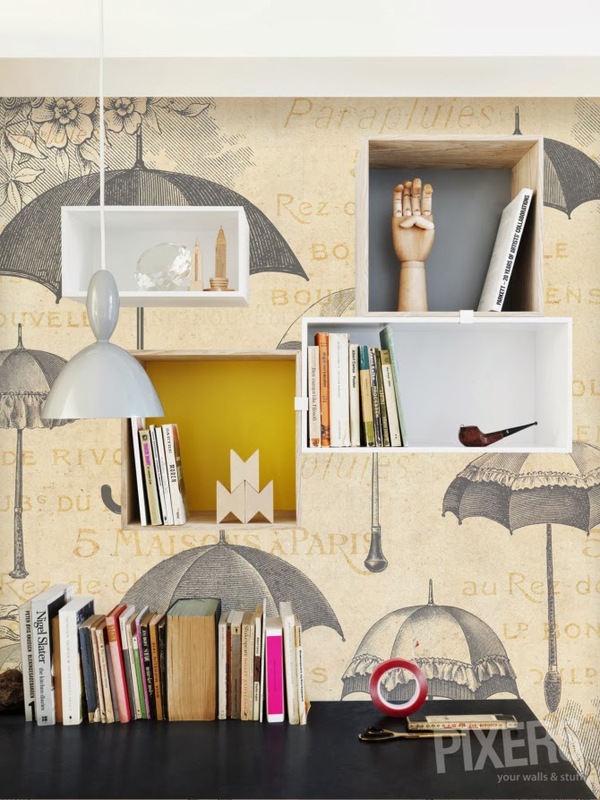 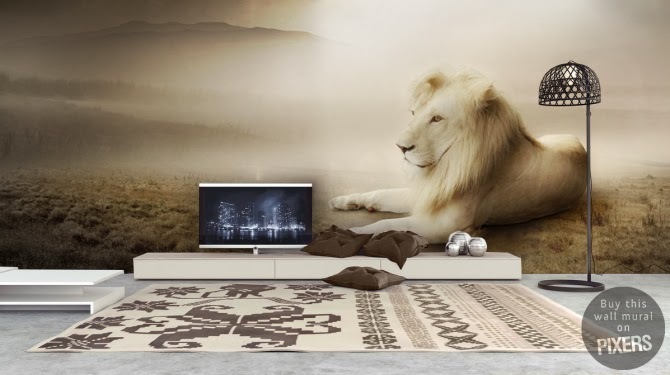 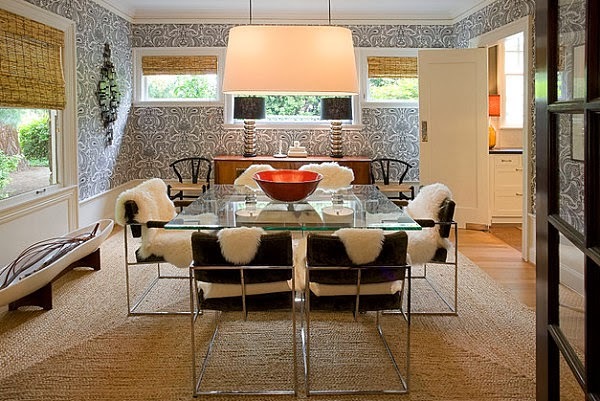 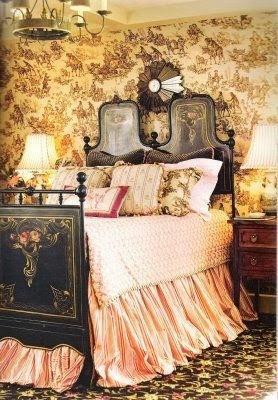 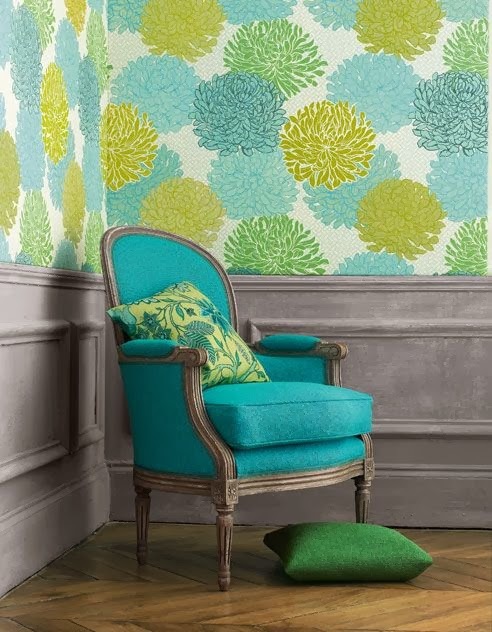 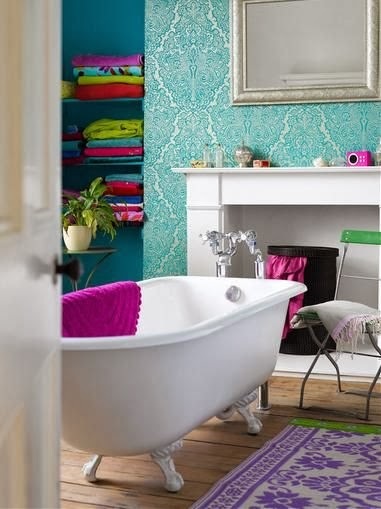 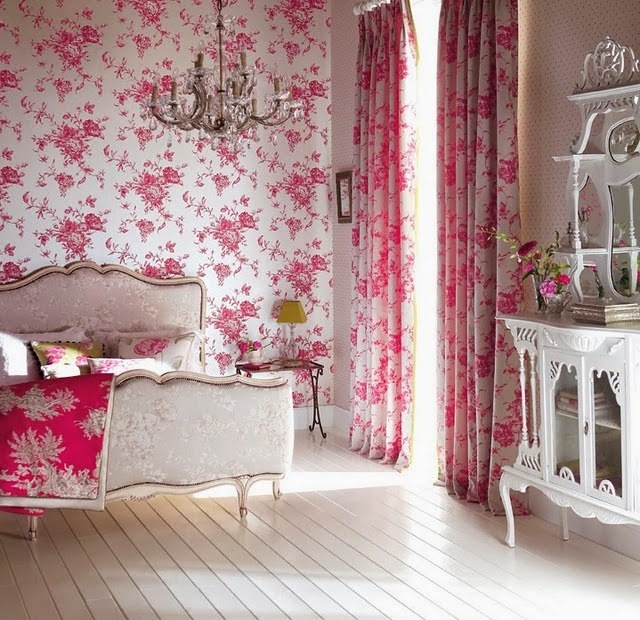 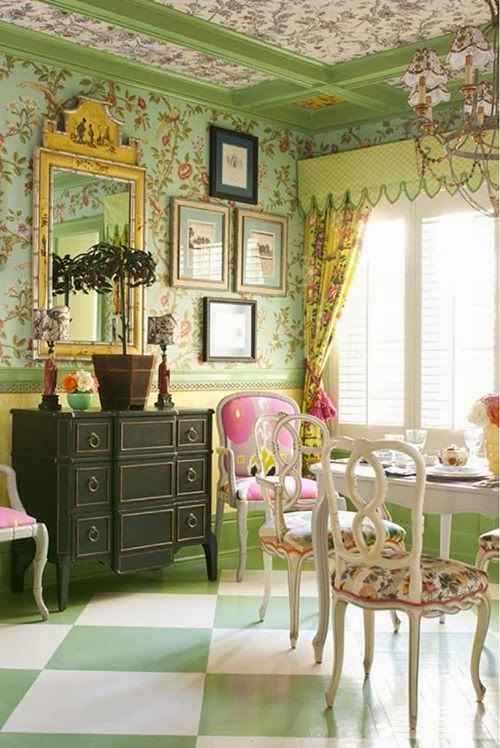 You can also go to http://www.pinterest.com/scogie2012/interiors-walls-floors/ for MORE wallcoverings and wall ideas!